SEAN: There’s been a lot of digital-only releases lately – first from Yen, and now from Kodansha and J-Novel Club. Kodansha in particular is picking up a lot of old Del Rey series that I haven’t been mentioning here and finishing them in digital mode. For example, Gakuen Prince is getting a rush release of new volumes for fans of trash – um, I mean dramatic shoujo. I’ll try to keep up, but may forget – apologies if I miss your favorite. Meanwhile, let’s talk new volumes rather than rescues. 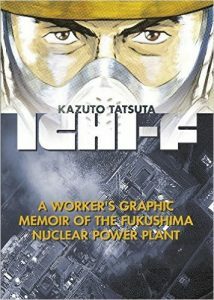 Ichi-F: A Worker’s Graphic Memoir of the Fukushima Nuclear Power Plant is the important release of next week, being pretty much what its title says, though it’s a memoir of someone involved in the cleanup, not the initial disaster. It should be fascinating. ASH: I got my hands on an early copy and it is indeed fascinating. Important, too, as you mentioned, and it strongly resonates with what I’ve heard about Fukushima and the recovery efforts from my friends who live in the area. MELINDA: Wow, this sounds intense. SEAN: Interviews with Monster Girls has become popular now that its anime is running, good timing for Vol. 3. We also get a 4th volume of Ninja Slayer Kills!. And a 2nd digital-only volume of fluffy Nakayoshi series A Springtime with Ninjas. MICHELLE: I’m super happy that sports manga seems to be having its day, and I look forward to more Welcome to the Ballroom in particular. MELINDA: When the sport is dancing, I’m always more interested. SEAN: Seven Seas has a 5th volume of popular spinoff A Certain Scientific Accelerator, which features even more property damage. And a 4th Masamune-kun’s Revenge, also the winner of the “it has an anime this season” sweepstakes. More Nichijou from Vertical! A 7th volume that will make you want to draw sharks. And now Viz. So much Viz. 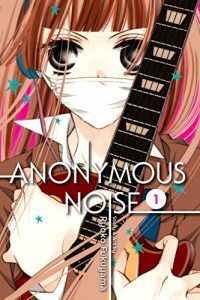 Starting with the debut of Anonymous Noise, a new manga from Hana to Yume by the author of Nosatsu Junkie and Monochrome Boys and Girls. I’ve heard it leans heavy on the drama. MICHELLE: I haven’t read her other titles, but I’m looking forward to this one. ANNA: The cover looks great. It is at the top of my to-read pile. ASH: The cover is great and I can’t resist the music connection. MELINDA: I’m very much on board with this. SEAN: Bleach has a 69th volume, though any readers who might make a dirty joke have long since abandoned it, I suspect. SEAN: Bloody Mary recently announced it’s finishing in Japan. Here’s Vol. 6. Everyone’s Getting Married has a 4th volume of no one getting married, or at least that’s my guess. ANNA: I love this series, it is much more thoughtful than the title suggests. MELINDA: Maybe I should check this out after all? SEAN: Haikyu!! has a 9th volume. Expect grueling training montages. MICHELLE: I’m always happy to get a new volume of Haikyu!!. SEAN: A mere three years after the last volume, we get a new volume of Hunter x Hunter. I try not to mock the mangaka as much, as I know he’s got tremendous back issues, but still. That’s a long time between volumes. Kimi ni Todoke’s 26th volume. Will we approach a climax soon? Naruto: Sasuke’s Story: Sunrise is another in the series of Naruto novels we’ve been getting. 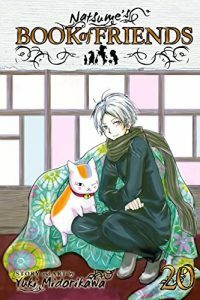 Speaking of delays, it’s been over a year since the last Natsume’s Book of Friends, so this 20th volume is very, very welcome. MICHELLE: Man, so much good stuff this week! I need a Natsume fix. ASH: I really need to get caught up with Natsume. SEAN: Nisekoi’s 20th volume is starting the climax, so we need to start letting down the other heroines gently. One Piece has a 19th 3-in-1, and I think is reaching the three year time skip. I’m torn. I love One-Punch Man, but am always bored by tournament arcs. Which will prevail with Vol. 11? ASH: If nothing else, at least the artwork will be great. SEAN: Platinum End has a second volume to try to convince me to read more of it. ANNA: I will approach reading this cautiously. MELINDA: Same. Ugh. I wish Takeshi Obata would pair up with someone new so I didn’t have to feel so sketchy about it. SEAN: Skip Beat! has a 38th volume, which features, be warned, the dreaded “let’s explain why the parent was abusive” flashback. MICHELLE: I’m still so happy to see it, and finally deal with this aspect of the story. ANNA: Me too. Always happy to see a new volume of Skip Beat! SEAN: Tegami Bachi finally comes to an end with the 20th and final volume. Lastly, a title I sometimes forget, we have a 7th Yo-Kai Watch!. Want a whole lotta Viz? Next week is your week. What’re you getting? I’m excited for Natsume’s Book of Friends. I pre-ordered it forever ago.